ALEGRIA, an Outremer 45 Catamaran just returned to Florida after spending a Summer season in New England. 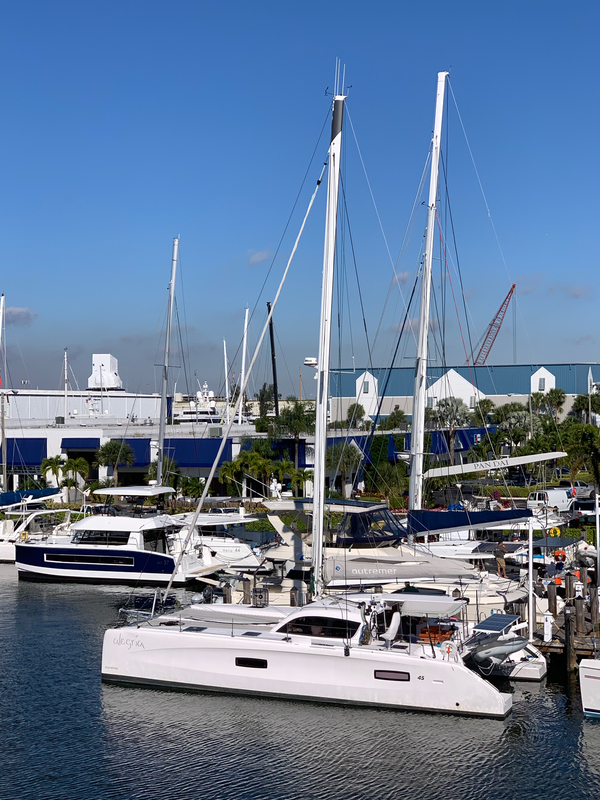 The Just Catamarans Service team is working on upgrades for ALEGRIA at the Just Catamarans docks in Harbour Towne Marina. Just Catamarans will have this Outremer 45 on display during the Miami International Boat Show, February 14-18, 2019. The Outremer 45 Catamaran features world-class design team includes Barreau-Neuman for the naval architecture, Franck Darnet Design for the interior design, and the deft hand of Patrick le Quement for the overall design cohesiveness.